In order to truly answer the question of “What is DNA?” one has to go back to the elementary or high school biology classes. DNA is the complex chemical that carries genetic information. Ancestry DNA is a company that offers genealogy testing. There are elements called chromosomes in each cell of the human body. 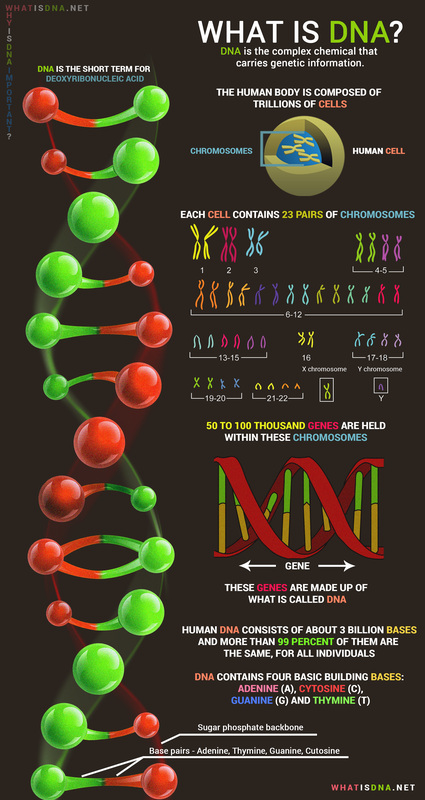 To be more precise, each cell contains 23 pairs of chromosomes. You’ll be astonished to know that some 50 to 100 thousand genes are held within these chromosomes. Since each of these genes could take value from one of the two values of its parent cells, hence you can imagine the possible variability in this structure. DNA is a molecular blueprint for a living thing. In a new research issued in the European Journal of Nutrition (EJN), coffee consumption was related to water consumption, and the impact on the DNA may shock you. Read more about coffee on Coffee Corner! These genes are made up of what is called DNA that is Deoxyribose Nucleic Acids. Apart from these genes that carry essential genetic information and only account for 2% of DNA’s structure, the rest of the 98% of DNA is still a mystery. Biologists call it junk DNA as there are no known proteins or traits that are coded or built by this part of DNA. This junk DNA, as well as the genetic information-carrying part only, varies in structure owing to the presence of four nucleotide bases throughout the DNA in differing order and sequence. Think of these four nucleotide bases in DNA as letters that form an alphabet. Just like the way the order of letters determines the meaning of the word that is formed, the sequence of these nucleotide bases concludes what information is available for the production of proteins that consequently take an active part in the formation and growth of the body. Most of the DNA is present within the nucleus of the cells. This is known as nuclear DNA. Mitochondria also hold a modest quantity of DNA, which is termed as mitochondrial DNA. The latter is useful in tests related to someone’s distant maternal lineage. What is great about DNA is that it has a very autonomous self-replication mechanism in action. The replication process makes use of the two strands of DNA. Each of these strands acts as a template and after going through a series of steps is converted into dual stranded DNA once again. This replication is very important because when the cell divides, the newly formed cell requires the same set of instructions for it to function and grow and the replicated DNA serves this purpose. Summing up the answer for what is DNA, it could easily be said that it’s a well-designed program spanning thousands of lines of codes that has instructions for everything that the cell needs to perform. DNA, no matter how short the acronym sounds, is a vast topic that requires serious dedication of time and energy before one can grasp what it is and how it affects the life within and around us. This article sets the foundations for a series of articles in which we will cover various aspects of DNA, the concepts, the technology and its applications. Right now, without going into the peculiar details, we are only going to briefly introduce these topics. You can think of it as a short glossary for DNA terminology. Learning about DNA starts with a sound knowledge of what is it made up of and how these chemicals interact with each other to form a structure that builds a DNA molecule. You have to look carefully at what essential functions DNA performs in the cell that it is located in, by the way, it’s present in each cell of human as well as a body of living organisms. In most basic terms, DNA is the master plan of life that works all the way from inception to growth. It holds all of the hereditary information and passes it from generation to generation. DNA is the short term for Deoxyribonucleic Acid. Almost every cell in an individual’s body has the same DNA, as the DNA is located in the cell nucleons. People, most of the times, learn what is DNA and its importance for the human body, in school. Anyway, properly understanding what DNA is, is always important, mostly if you are working in areas in which DNA results have importance on the evolution of some cases. For starter, to understand what is DNA, you need to know that it contains all the information used in the development and functioning of all living organisms. 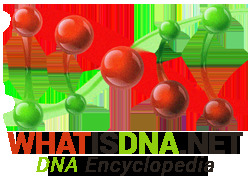 What is the structure of DNA, is also a common question that people seem to ask? Human DNA consists of about 3 billion bases and more than 99 percent of them are the same, for all individuals. Another important aspect of what is DNA is that it can replicate and make copies of itself. The use of DNA linked information has become more important in science and medicine, as researchers have found that it can be used to cure diseases, or better said to avoid babies from inheriting diseases their parents are suffering from. This currently, is considered to be a major goal for scientists, who are searching for treatments, cure and also for prevention when it comes to genetic conditions. DNA becomes even more important for people who think that such risks are higher in their particular cases. Researchers aim to detect individuals who are predisposed to develop such diseases and that means that scientists can find treatments, to be used for the purpose to prevent genetic conditions. DNA is simple to understand, but the way DNA functions is more complex. Once you have encountered the double helix structure of DNA, as proposed by James Watson and Francis Crick in 1953, you should move on to advance topics like DNA replication. 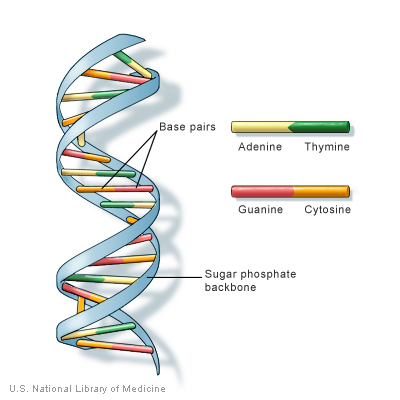 DNA replication tells us that each DNA is able to produce an exact copy of itself and this is made possible with the help of DNA polymerase, an enzyme that takes an active role in the process. You’ll also come across DNA synthesis, which is an artificial technique to produce copies of DNA and is based on the concept of DNA replication. While DNA holds all of the information required for the cell to perform its actions and produce the essential proteins, it is important to note that DNA doesn’t interfere directly with the elements of cytoplasm outside the cell nucleus and disseminates this useful information through a messenger RNA. This is done through a process called DNA transcription. The buzz words that have really boosted the popularity of DNA among the masses are DNA cloning and DNA testing. Who has not heard of Dolly, the first ever cloned animal? DNA testing, owing to a large number of social, commercial and forensic uses, has drawn the attention towards further studies and research in DNA. The discovery of DNA, in fact, revolutionized both science and medicine, having numerous effects on other linked domains, such as legal and social areas. Samples of DNA are, all the times, taken from the scene of a crime, and it is a safe way to find and convict criminals, being an accepted and trusted evidence in court. The discovery of DNA can’t be applied to one specific date in history. In fact, it’s a series of events and research activities that finally resulted in the discovery of DNA; it’s structure and the way it functions. The groundwork for the discovery of DNA can be traced back to the nineteenth century when a German biochemist made a breakthrough observation regarding the presence of nucleic acids. He found out the elements of sugar, phosphoric acid and nitrogenous bases in the nucleic acids. Studies after that concluded that sugar could be present in either of the forms of ribose and deoxyribose, hence the discovery of RNA and DNA. Earlier it was thought that proteins carry the genetic material. However, in 1944, Oswald T Avery proved the case for DNA containing the genetic information. He was able to extract DNA from a specific kind of bacteria and transfer it to the cells of a bacterium of another kind. The latter showed heredity of certain traits that were present in the donor bacteria. Since only DNA was passed on in the process, Avery concluded that genes must consist of DNA. Studies related to the discovery of DNA kept on being carried out by scientists and biologists across different universities, colleges and other research-based institutes. Erwin Chargaff, a biochemist, made an important discovery in 1948. He found out a striking feature exhibited by the nitrogen bases in DNA; that their order and sequence changes but certain bases were always present in the same quantity. The progress in the discovery of DNA then moved on to two premier educational institutes of the world, i.e. Cambridge University and London’s King College. While James Watson and Francis Crick at Cambridge University were headed towards making physical models of DNA and eliminating the impossibilities in DNA’s structure, Maurice Wilkins and Rosalind Franklin took the road of experimentation based on x-ray diffracted DNA images. Unfortunately, the initial model proposed by Cambridge’s team failed, but Watson came across some findings of Franklin’s experiments leading towards the proposition for a helical structure of DNA. Franklin wasn’t convinced of her findings yet but based on these findings and adding the important discovery made by Chargaff. Watson and Crick conceptualized a double helix structure of DNA. Their model was so solid, matching with the results of experiments that the DNA research community had no option but to accept it and since then this great discovery of DNA’s structure has opened many doors for advancement in DNA technology. ’Where we come from?’ is not only an emotional query but can also be an important question to answer in many legal situations. With the emergence of tools and solutions that make use of converting the scientific and advanced DNA knowledge into practical applications, one can use for discovering his or her heredity concerns, the commercial popularity of DNA testing has gone widespread. DNA testing can be used in a wide variety of cases that range from parentage disputes and child support issues to identifying the genetic illness risks that one child may be carrying. Overall, DNA testing does a wonderful job of resolving issues scientifically and bringing peace of mind in our lives. In this article, we are going to briefly cover the popular uses of DNA testing. Paternity establishment is an important issue that can be solved via DNA testing. In layman language, the test will verify the paternity claim that a father has over his son or daughter. Apart from the uses of this test in disputes between couples, it can also be availed by a father to ensure that his offspring enjoys benefits such as Social Security, health insurance and etc. arising out of this relationship. The paternity establishment tests, unless required by law enforcement agencies, can also be conducted in the comfort of one’s house. You just have to follow the simple instructions and return the collecting kit to the commercial DNA testing company. The results will be delivered to you as discreetly as you instruct. DNA testing can also be employed in the cases for child support. Even if the father of the child is missing, paternity can still be established via testing the DNA samples obtained from both of the grandparents. Immigration is another area where DNA testing is widely adopted as a replacement of documents that prove biological relationships between family members. The use of DNA testing in forensic investigations is simply momentous. In fact, the Federal Bureau of Investigation maintains a large database of DNA profiles, which could be referenced by various DNA labs to assist the law enforcement agencies in their search for the crime suspects. A breakthrough in the fight against the inherited diseases is Prenatal DNA Screening. This kind of DNA testing results in the identification of genetic diseases in a developing child. The known diseases or defects can either be prevented or managed depending upon the problem and available solutions.